Rail technology leader Bombardier Transportation in Australia is proud to have received accreditation from the Welding Technology Institute of Australia (WTIA) enabling it to certify welders across the Australian rail industry through the Australian Welder Certification Register (AWCR). The Welding Training Centre at Bombardier's Dandenong site in Victoria is now an accredited facility for securing and growing local welding capabilities and for delivering industry-recognized certifications to staff, external suppliers, and industry partners in Australia. 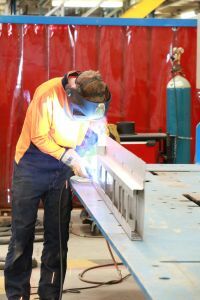 "Our Welding Centre in Dandenong will act as a facility to train and certify welders; internally as well as externally with the capability to qualify suppliers, customers or any individual candidates. 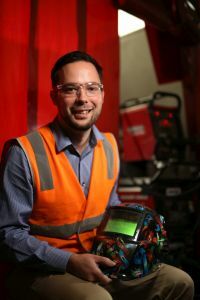 We want to enhance and sustain the Australian rail sector's welding competencies", said David Collomb, Head of Operations and Site General Manager (Dandenong), Bombardier Transportation Australia. He added, "This achievement is testimony to Bombardier's continuous improvement and employee upskilling culture, which is a key differentiator of Bombardier's quality products and customer offerings across the rail industry in Australia." As part of achieving this accreditation, the Welding Team in Dandenong validated Bombardier's welding practices in line with the rigorous ISO9606 international weld requirements. During this process, Lead Weld Engineers, Louis Victor Blain and Con Sakellaridis, became accredited examiner and trainer respectively, and have worked tirelessly to demonstrate Bombardier's welding competencies as part of manufacturing best practice. Bombardier will subsequently offer welding courses for internal and external candidates covering the EN15085 requirements specific to the rail industry. To date, the facility has trained and qualified over 40 Bombardier welders in addition to a number of key supply partners. Bombardier Transportation has enjoyed a 60+ year presence in Australia as a complete rail solution provider. With local design, engineering, manufacturing and delivery capabilities, we also provide solutions for signalling, propulsion and control technology, asset management and through-life support to our customers. With more than 1,000 employees spread across every state, we have delivered an extensive and diverse portfolio of winning mobility solutions for Australia's rail ecosystem. Bombardier is trademark of Bombardier Inc. or its subsidiaries.